People Before Profit TD Gino Kenny has said that he is pleased that the Government have initiated a pause on using transvaginal mesh implants in surgical procedures following recent moves by the NHS in the UK and Northern Ireland to do likewise. The TD made the comments following a reply to a parliamentary question from Minister for Health Simon Harris and Bríd Smith TD raising the matter in the Dail. (PQ and video link attached). He said: “I am very pleased that the government have made moves to suspend using the mesh in certain surgical procedures. Transvaginal mesh has caused many painful issues for women who have had operations to deal with certain medical conditions. “I would like to pay tribute to the Mesh Survivors Ireland support group of women and the constituents of mine who got in touch with me and who are continuing to highlight this important women’s health issue. “This is another example that shows us that as a society we have still so much to do to take women’s health more seriously. We cannot continue to fail women in the ways that Ireland has for many years, especially regarding their healthcare”. * To ask the Minister for Health the steps he is taking to address the issue of women that have developed severe adverse effects following transvaginal mesh devices and vaginal mesh implant procedures (details supplied); his plans to ban mesh as occurred in England and Northern Ireland recently; and if he will make a statement on the matter. As Minister for Health I am committed to putting in place the measures necessary to ensure that both the current use of Transvaginal mesh implants (TVMIs) in surgical procedures in Ireland, and the ongoing clinical management of women who have had these procedures in the past are in line with international best practice and emerging evidence. At my request, the Chief Medical Officer (CMO) is preparing a report which will make recommendations in relation to the clinical and technical issues involved. I am informed that following recent policy actions in relation to mesh by health authorities in the NHS and in Northern Ireland, as set out below, further engagements with the HSE, the Health Products Regulatory Agency, the professional bodies and colleagues in other jurisdictions will be needed before the report is finalised. It is now anticipated that the CMO’s Report on this issue will be completed by late August or early September. Pending finalisation of the report, Department officials together with representatives of the HSE and the Health Products Regulatory Authority (HPRA) have reviewed the NHS decision of Tuesday 10th July to institute a ‘pause’ in the use of vaginally inserted mesh to treat prolapse and the use of tape or slings to treat stress urinary incontinence, until a set of conditions to mitigate the risks of injury are met, to identify any immediate implications for practice here. The decision to institute a pause in vaginal mesh procedures in NHS England followed a recommendation the Independent Medicines and Medical Devices Safety (IMMDS) Review established in February 2018 by the Secretary of State for Health and Social Care, the Rt. Hon Jeremy Hunt MP. On Wednesday July 11th, a similar pause was instigated by health authorities in Northern Ireland. NHS England has clarified that the pause will involve implementation of a high vigilance programme of restricted practice. It is not a blanket ban of the relevant procedures, and it is anticipated that there will need to be some exceptions within the pause, within a high vigilance programme of restricted practice. For some patients, mesh procedures may be the only viable treatment option for a debilitating condition. It has been clarified by the NHS that there is no concurrent change in the evidence base concerning these devices. The recommendations of the IMMDS to NHS England arose because of a lack of certainty or confidence that critical clinical governance measures to assure the safety of mesh procedures are demonstrably in place. The Department considers that similar concerns in relation to the visibility and consistency of such measures apply equally in the public health system here. 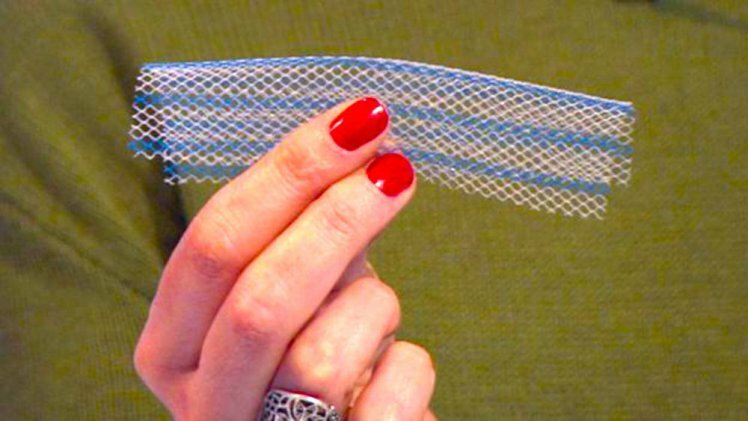 There is understandable public and patient anxiety about the ongoing safety of mesh devices in light of the considerable publicity that this issue has received and this has been heightened by recent developments in the NHS. It is important that this be addressed as comprehensively as possible. A pause on the use of mesh procedures, pending confirmation by the Executive that a number of key recommendations as set out below have been implemented, is now considered proportionate and necessary to provide public assurance that these procedures are being carried out in accordance with internationally accepted good practice. The advice of the HPRA to the Department in relation to this issue is that it is supports a temporary restriction on all procedures involving uro-gynaecological/transvaginal mesh implants, pending the introduction of the further clinical mechanisms proposed relating to the delivery of care for patients. The regulatory status of uro-gynaecological mesh implants at a European level remains unchanged in that they are CE marked medical devices. As such, the benefit-risk profile for the devices is considered positive. Ensuring that the use of transvaginal mesh is appropriate and as safe as possible requires, not only that the device is safe and performs as intended, but also that the healthcare system has appropriate measures for patient selection, treatment and follow-up in place. 1. Pause the use of all procedures involving uro-gynaecological/transvaginal mesh implants for the management of Stress Urinary Incontinence (SUI) or Pelvic Organ Prolapse (POP) in HSE funded hospitals, in cases where it is clinically appropriate and safe to do so. 2. Ensure that in situations where expert clinical judgment is that there is an urgency to carry out the procedure and no suitable alternative exists, surgery should proceed only if a delay would risk harm to the patient and should be based on multidisciplinary team decision and fully informed consent. This pause should remain in place pending confirmation of implementation by the Health Service Executive, working in conjunction with the Institute of Obstetricians and Gynaecologists (IOG) and the Royal College of Surgeons in Ireland (RCSI), of three urgent recommendations relating to (i) Surgical Training, (ii) Informed Consent and (iii) the Development of an agreed Dataset of Mesh Procedures. The Department has also written to the Institute of Obstetricians and Gynaecologists, the Royal College of Surgeons in Ireland and the Continence Foundation of Ireland on requesting that they assist the HSE in progressing these recommendations on an urgent basis. It is acknowledged that there may be concerns that restricting the availability of mesh procedures, particularly SUI mesh procedures, which are widely accepted to be less invasive and more effective than non-mesh alternatives will delay access to treatment procedures for distressing symptoms. Advice received in relation to this is that uro-gynaecological mesh procedures are largely elective procedures and it is not anticipated that a postponement of weeks / months will materially affect health outcomes for the majority of women affected. Given the limited number of surgeons and units carrying out these procedures in HSE funded hospitals, it is anticipated that the Executive will be in a position to indicate to the Department that these recommendations have been implemented within a number of months. In relation to the provision of appropriate aftercare for women suffering from mesh complications, including appropriate diagnostic facilities, this has already been identified as one of two priority recommendations for immediate advancement by the Executive in the course of preparation of the CMO’s report. The CMO wrote to the Acting Director General of the HSE, and to the Institute of Obstetricians and Gynaecologists (IOG), the Royal College of Surgeons in Ireland (RCSI), and the Continence Foundation of Ireland (CFI) on May 28th 2018, requesting that the Executive commence work on (i) the development of appropriate patient information resources and consent materials and (ii) clarification and development of treatment pathways and appropriate referral services for women suffering from mesh-related complications, in conjunction with the IOG, the RCSI and the CFI. The HSE has confirmed that work has commenced by the National Women and Infants Health Programme (NWIHP) in the HSE to progress these recommendations, and the experiences of the women concerned will be an essential element to informing the assessment of need and identifying the aftercare services required. This work will include identifying the appropriate specialist clinical expertise and facilities required at hospital group level and nationally to provide comprehensive aftercare services. It will also include an examination of the role of and requirement for specialist diagnostic services such as translabial scanning. Pending the completion of this work, there may be a need to look at sourcing services from abroad to address any immediate shortfalls identified, either through utilisation of the treatment abroad scheme or by commissioning services from abroad. A Learning Notice concerning mesh devices in uro-gynaecological procedures was circulated by the NWIHP on 26th June 2018 to all maternity hospitals and acute hospitals with gynaecological services to highlight the importance of appropriate patient selection, adequate information and consent and also to inform the service providers that a Response Group has been convened to propose remedies for and address the provision of aftercare for complications. This learning notice has been posted on the NWIHP website.